You heard it! PowerShell V3 is now available to download as RTM! It is already installed on the RTM versions on Windows 8 and Windows Server 2012. 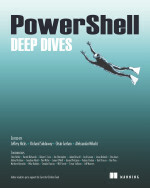 This entry was posted in News, powershell, V3 and tagged Powershell, RTM, V3. Bookmark the permalink. 1 Response to PowerShell V3 is RTM! Bit late to the announcement on V3, But here’s a link from someone who wasn’t..!